Are you looking to take your physical fitness to the next level? 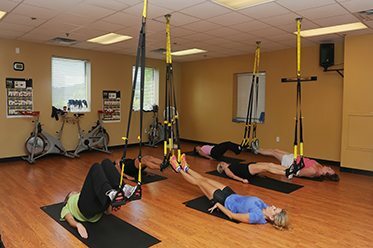 Check out our TRX group class! 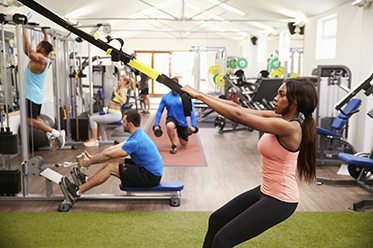 Our gym members rave about how TRX training pushes them in ways they never pushed before. Don’t let the simplicity fool you. You’ll be sweating bullets and pumping your muscles in ways that only the simplicity of TRX can give. Suspension training is just one of many group classes we offer at Valley Fitness in Harrisonburg. We recommend warming up your muscles in our Pilates studio to learn proper muscle movement while utilizing suspension training. Remember to sign up now for your free 3 day gym membership to take your fitness to the next level.